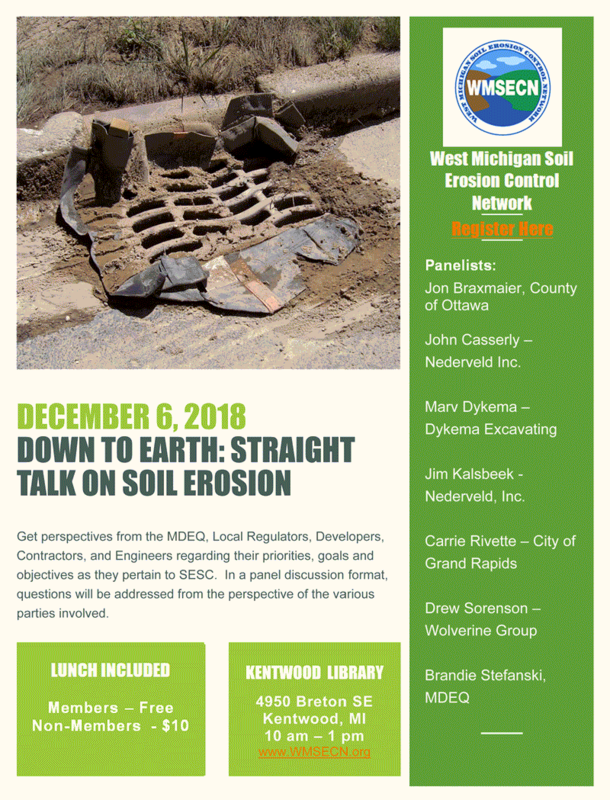 Get perspectives from the MDEQ, Local Regulators, Developers, Contractors, and Engineers regarding their priorities, goals and objectives as they pertain to SESC. In a panel discussion format, questions will be addressed from the perspective of the various parties involved. John Casserly – Nederveld Inc.
Jim Kalsbeek - Nederveld, Inc.